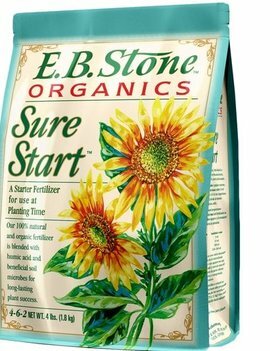 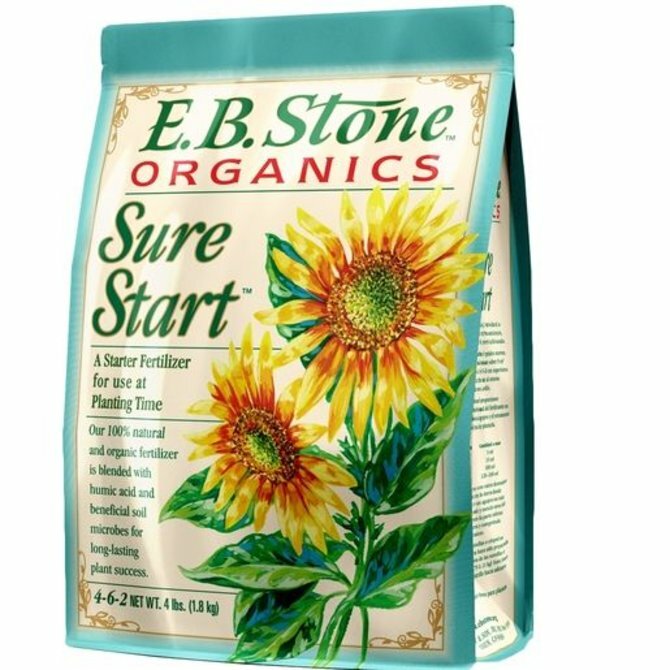 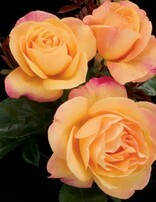 Has natural disease resistance and strong vigor. 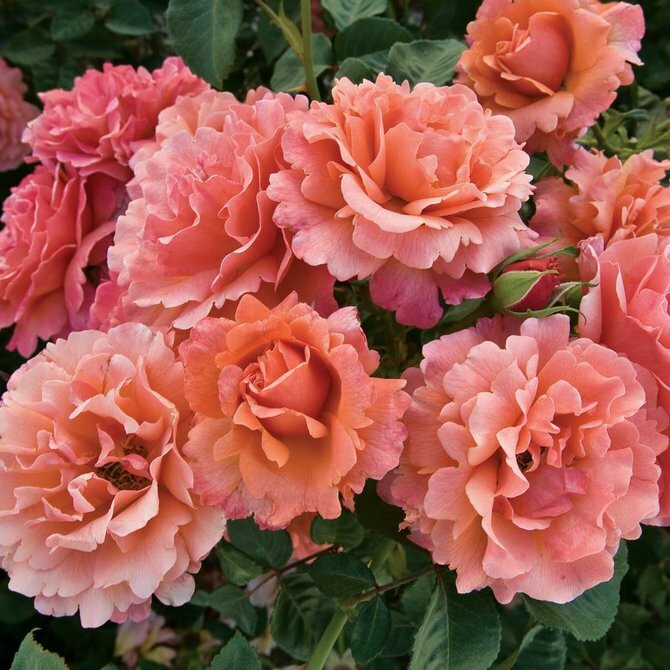 Very dark green leaves and unusual red stems set off the many showy clusters of blossoms. 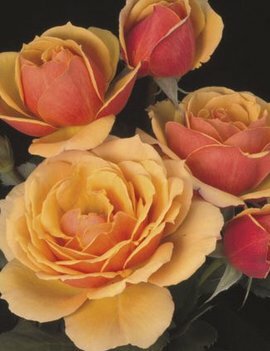 Hit pay dirt with Strike It Rich! 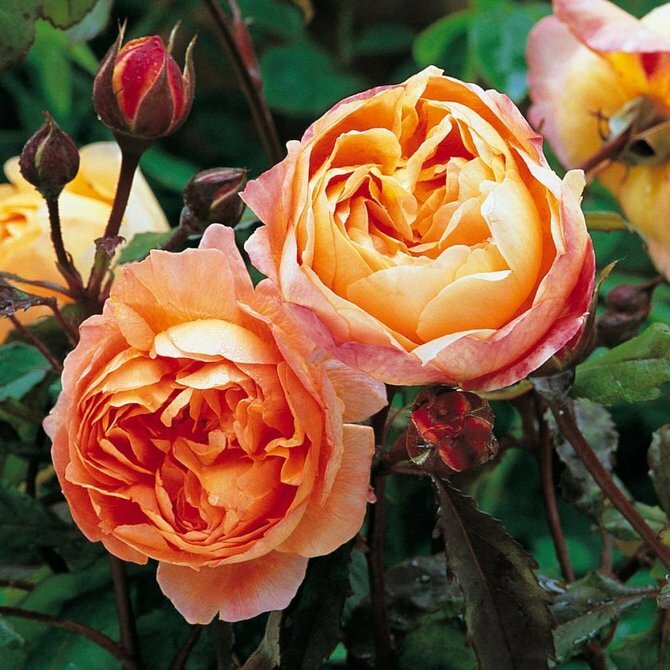 ‘Scent-sational’ for a bouquet and ‘beauty-full’ in the landscape. 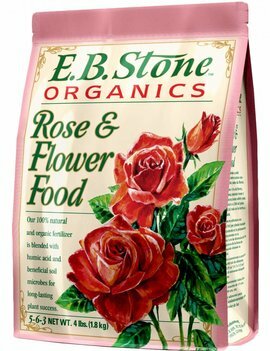 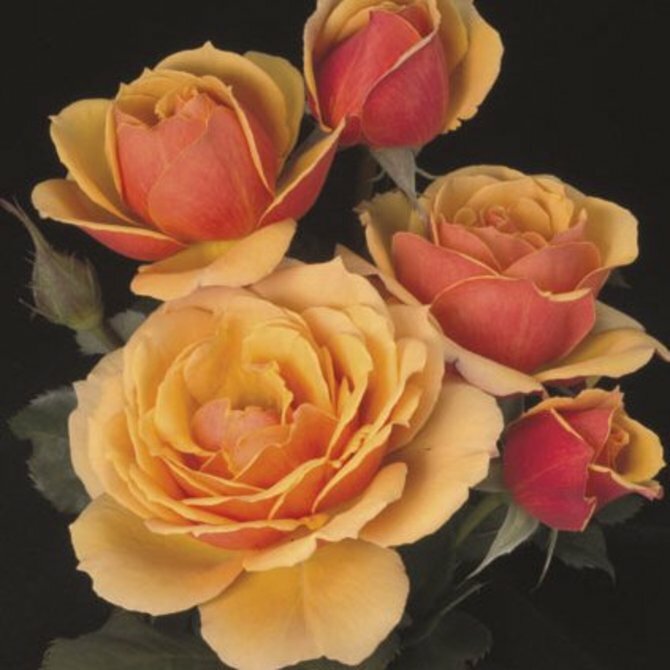 Bred by Weeks Roses • A very novel ‘backwards’ bicolor whose lighter color of deep golden yellow is carried on the inside of the petals with a darker bronzy orange-red backside. 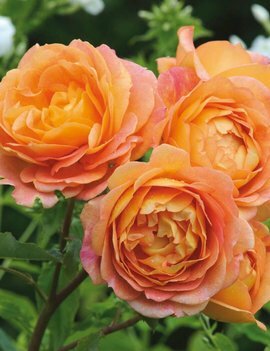 Bred by David Austin • Bright blooms with a delicious, award-winning fragranceGlorious blooms of tangerine-orange and yellow. 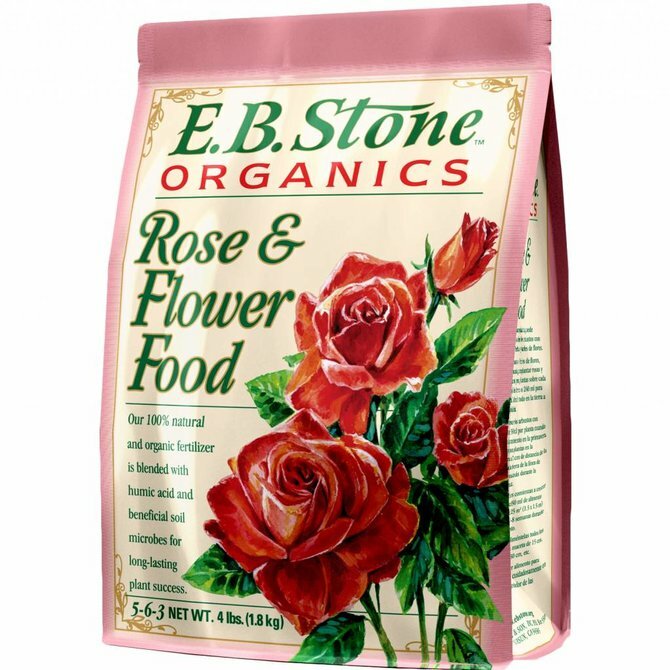 A strong, deliciously fruity fragrance. 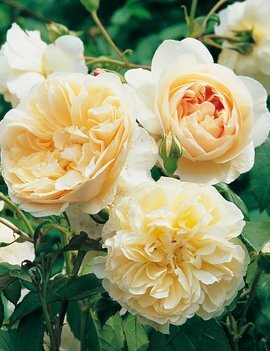 Upright, bushy growth. 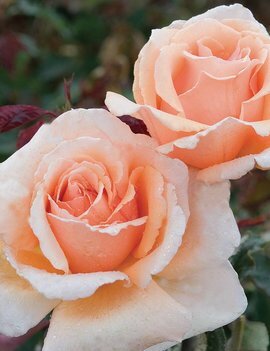 Healthy and free-flowering. 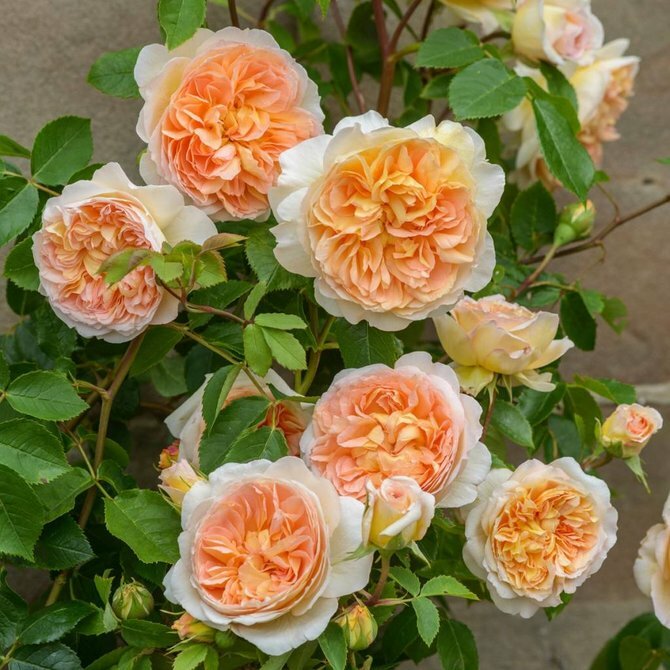 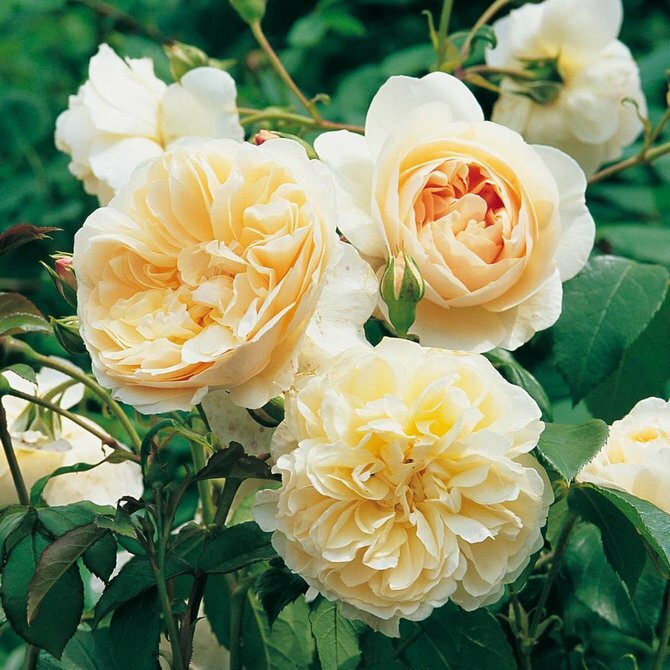 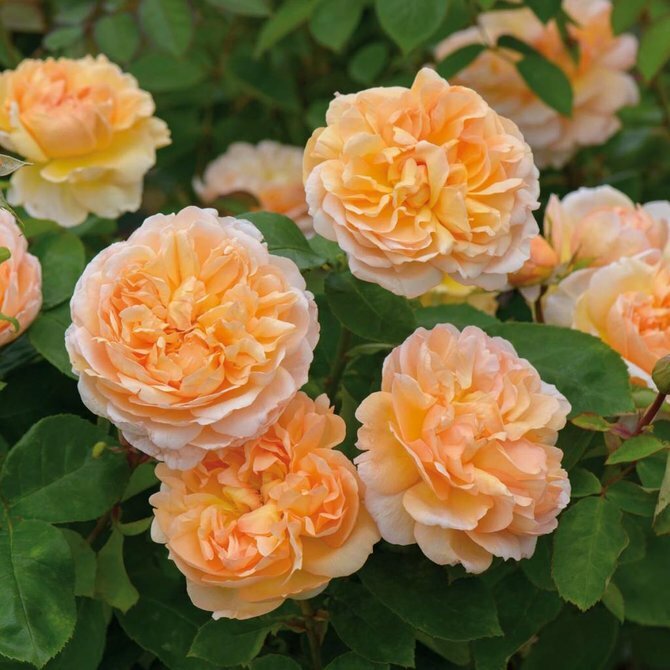 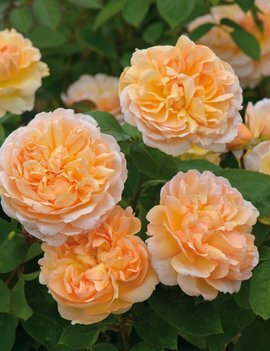 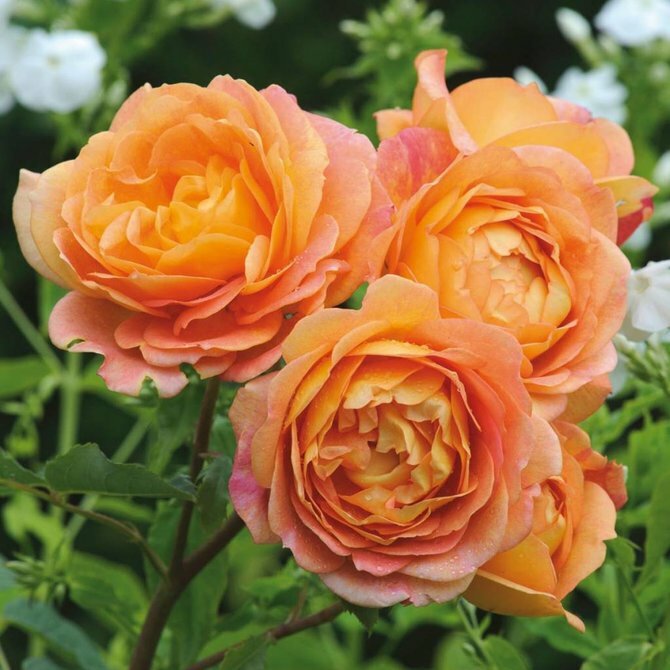 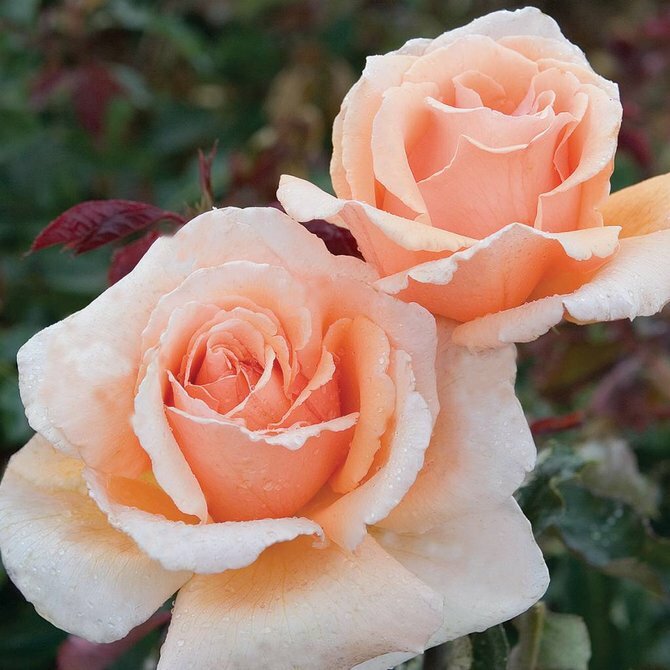 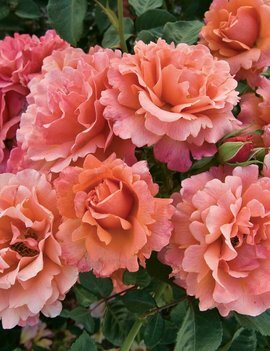 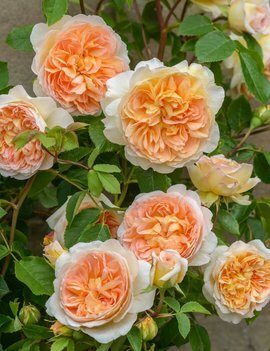 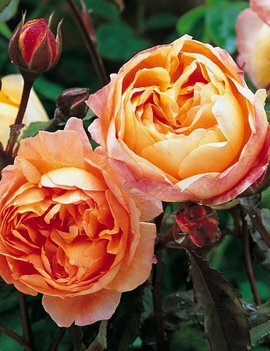 Bred by David Austin • Large, many petalled apricot blooms. 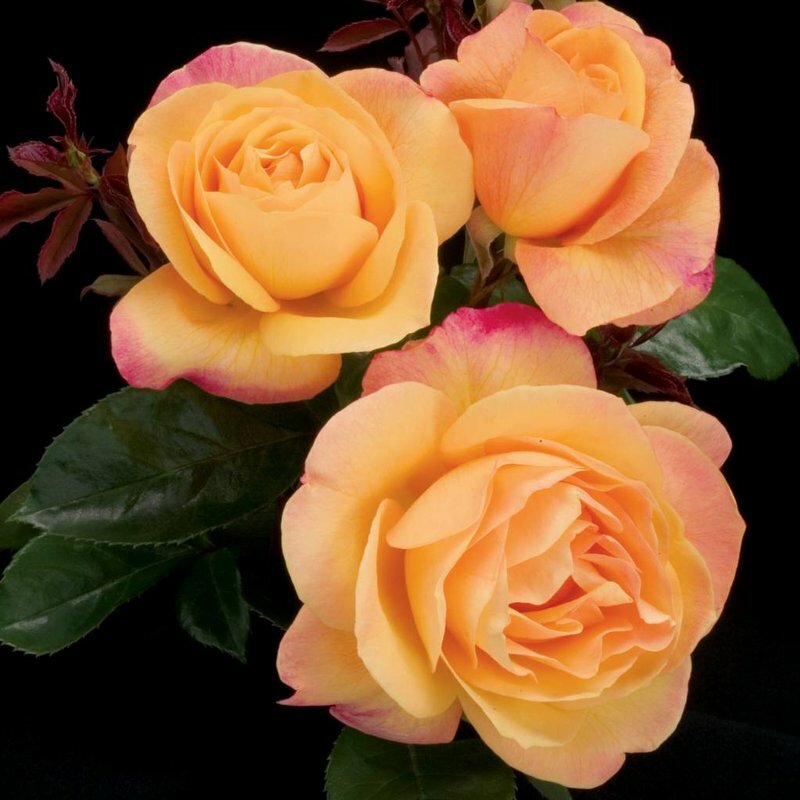 Superb myrrh fragrance with floral and honey character.